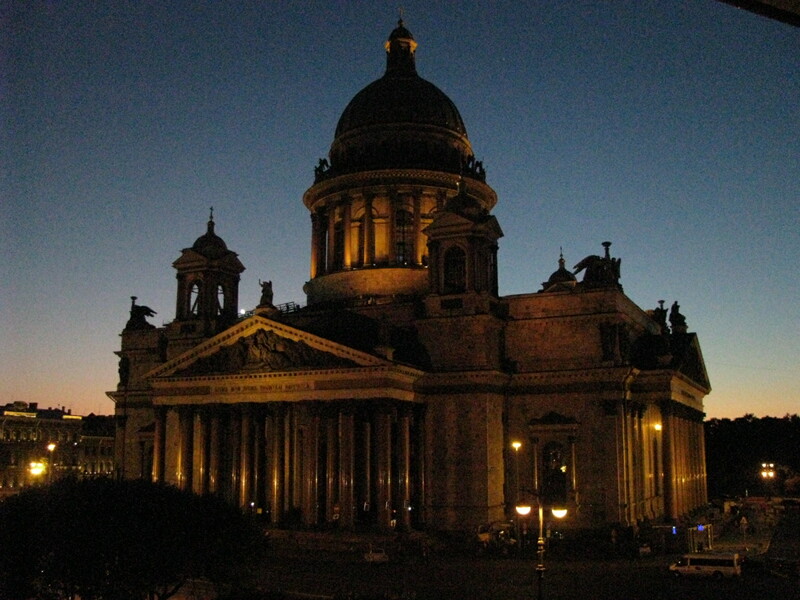 Photos of Saint Isaac’s Cathedral, in Saint Petersburg, taken from our hotel room window. 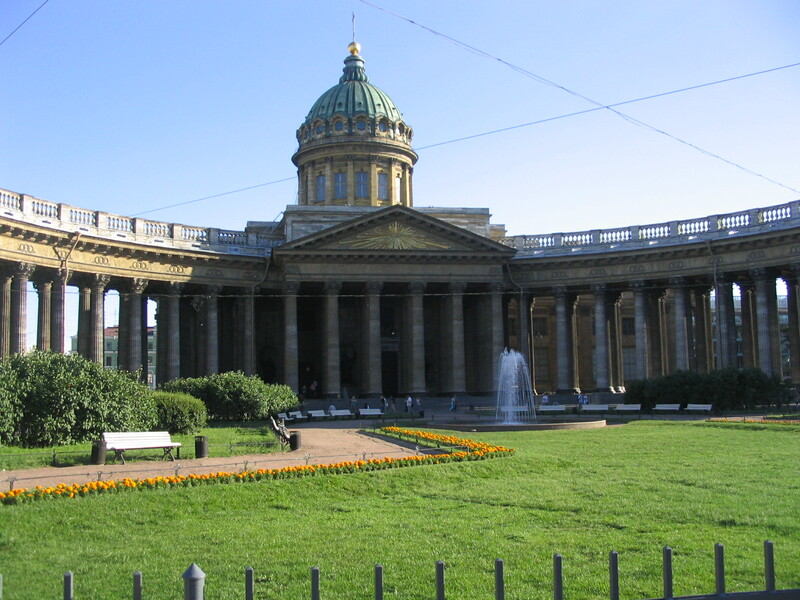 The story of Kazan Cathedral, on Nevsky Prospect, across from Doma Knegy (House of Books bookstore), is really amazing. Kazan was closed by the communists after the Russian Revolution. In the 1930s the communists turned Kazan into the Museum of Atheism. But Kazan was returned to the Russian Orthodox Church in the 1990s. It is now the Primary Cathedral for Saint Petersburg, and the seat of the bishop for the Eparchy (diocese) of St. Petersburg. 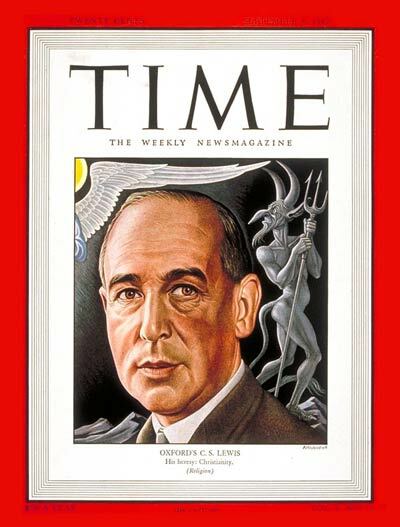 Almost all churches in the Soviet Union were closed under Stalin in the 1930s, and again under Khruchev in the 1950s. (And virtually all priests and pastors were arrested, tortured, sent to the Gulags and/or killed. It is difficult to estimate how many millions of Christians were killed under the communists.) 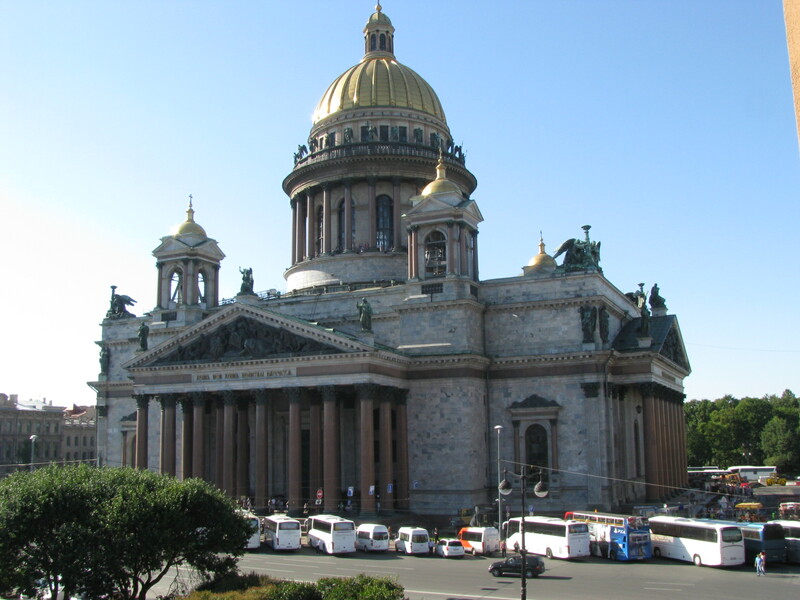 Even in the late 1980s only 20 churches were allowed to legally function in Saint Petersburg, a city of 5 million people. Today, the number of functioning churches in Russia has multiplied by 10 fold since the fall of communism; and the number of monasteries has grown from only 1 to many 100s, with more churches and monasteries opening every day. 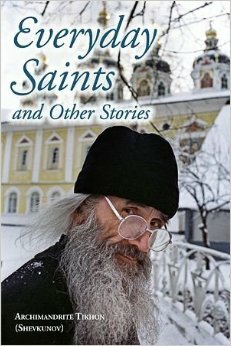 The most recent estimates are that 75% of all Russians now profess faith. In spite of its many problems and issues, Russia today is one of the most religious countries in the world. 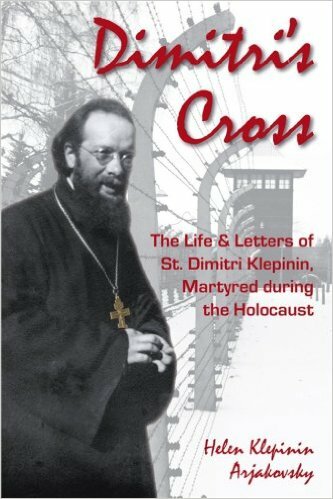 In February, 1943 he Father Dimitri was interrogated by a German Gestapo officer named Hoffman. A year later, Father Dimitri was sent to the Buchenwald concentration camp, in Germany. His health broken, suffering from pneumonia, he died on February 9, 1944 and his body was burned in the Buchenwald crematorium.